Holiday shopping is the most stressful activity of the season — worse than hosting a holiday dinner or traveling to visit relatives — according to a survey conducted by U.S. retail foot care leader PROFOOT. – Consumers plan to hit three to eight different stores. – The average shopping mall is two football fields long. – Retail workers will suffer too — with 41,620,604 pairs of feet working long Black Friday shifts. According to the study, 83% of consumers said they experience foot pain during the holiday season, although very few do anything about it. We have five tips to help you deal. 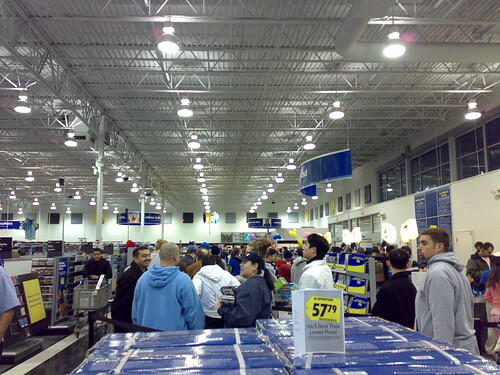 In 2012, shoppers waited outside a Best Buy opening at midnight on Black Friday. This year, over a dozen retailers are opening as early as 8 pm on Thanksgiving Day. All that standing in line can cause severe foot pain! Tip #1: Shop for shoes before you shop all day. Many of us lead fairly sedentary lives, but we imagine that we can just jump right into a six-hour day of shopping. When was the last time you bought a pair of sneakers? Check the bottom of your soles for wear patterns. If you see the shoe starting to wear away, then you are most certainly not ready for a full day at the mall! Wearing good, supportive walking shoes is essential to make it through the day without foot pain. Tip #2: Remember, slow and steady wins the race. Overuse injuries plague Black Friday and Christmas shoppers because individuals tend to hit the pavement non-stop, alternating between walking and standing. Instead, take a few breaks to sit down and rest along the way. Grab a cup of coffee at a cafe or some lunch, rest on a bench, or sit in your car for a few moments after dropping off your packages. Tip #3: Beware of the great outdoors. After a big holiday shopping spree, we see a spike in cases of twisted ankle injuries. It’s easy to get fatigued and feel mentally distracted when walking to the car, armed with bags. 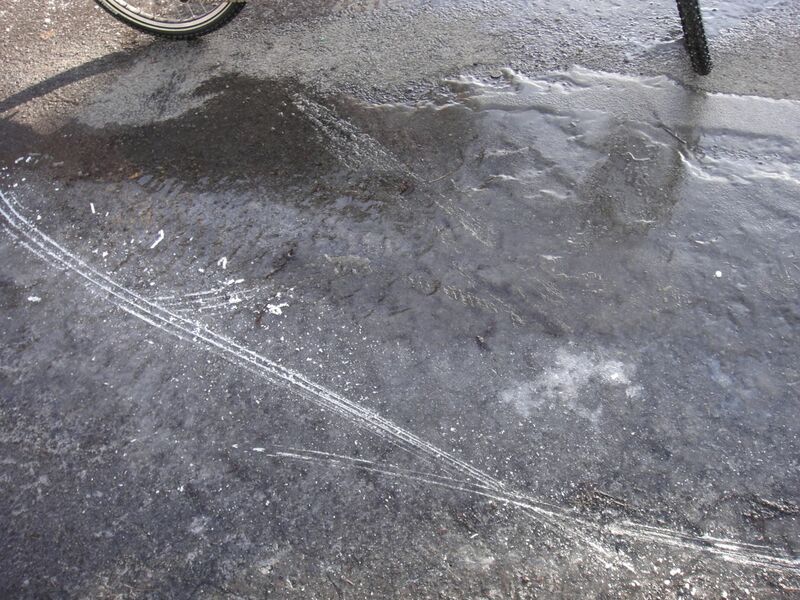 Wet leaves or black ice can cause sprained, broken, or twisted ankles very easily if you’re not focused on your surroundings. These seemingly minor injuries can lead to chronic pain and long-term issues if they are not addressed in the right way. Tip #4: Bring a spare pair of shoes. Sometimes wearing the same pair of shoes all day can constrict the foot and cause pain. Bringing a spare pair to change into halfway through the day can be a relief to the foot. If you’re prone to sweating, an extra pair of socks can help you prevent pesky blisters. People who find this shoe switcheroo to be a hassle can benefit from a pair of custom orthotics molded by a foot doctor. These inserts can go into just about any shoe you own and ensures that your foot and ankle fall into proper alignment as you walk. They also distribute your weight better to reduce pressure and strain on the feet. Tip #5: See a podiatrist for foot pain sooner, rather than later. People run into trouble when they put off caring for themselves and their feet until the pain sets in. It’s much easier to prevent the development of foot pain than it is to treat it. Foot pain can be all-encompassing, since it’s hard to avoid walking or standing in our day-to-day lives. Overuse injuries like tendonitis inflammation and plantar fasciitis heel pain are something we see very often in our NYC podiatrist office. Coming in for an annual exam can keep you in tip-top shape to make sure your feet are ready to go when you are.